Simply the Best Football Camp Around! 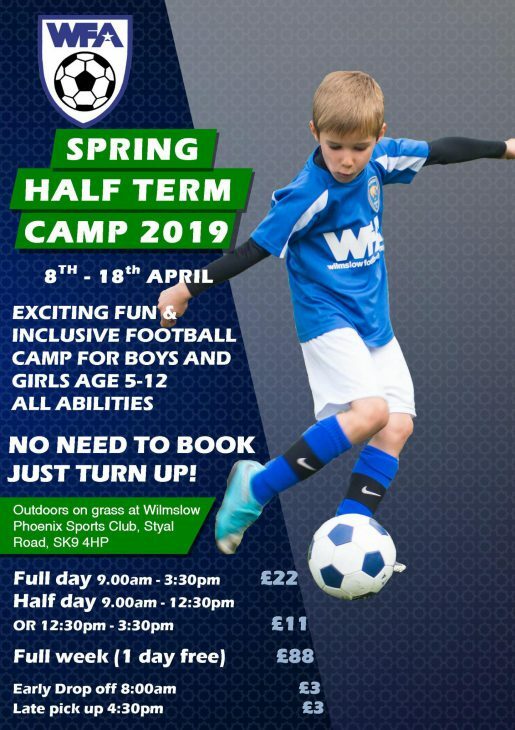 This is our first Holiday Camp at Wilmslow Phoenix Sports Club and we are delighted to hosting there this Spring Half Term. We will be playing on the grass pitches but will switch to the AstroTurf in inclement weather and we’ll be moving indoors to the club house for lunch. Our new look holiday football camps are themed on the popular FIFA Ultimate Team. The course involves skill sessions, small sided matches, speed gun challenge and the all important Champions League Tournament. When the children arrive they design their own player card on which their progress throughout the day is recorded. They can see the area’s that they need to improve on whether it be their passing, dribbling, shooting, heading or goal keeping. Behaviour and attitude are also monitored! They are split into age specific groups. 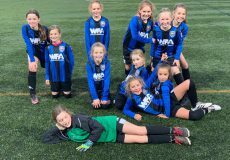 They can earn their teams special awards with good play and trying new skills whilst they enjoy playing football with players of their own age and ability. The whole emphasis is on playing football with their friends, having fun and making new friends while improving their football skills! WFA Holiday Football Camps are designed to give the children the best football experience no matter what their level of ability is. If they are very young and just starting to enjoy the game or slightly older and more accomplished, the emphasis is on improvement and development through fun. There’s nothing like just getting the ball down and playing, learning from other players and growing in confidence. Its simple, let the game be the teacher. We encourage small sided games with players enjoying playing with others of a similar ability. This way the player gets more touches of the ball and his ability and confidence are accelerated and their enjoyment of the game enhanced. 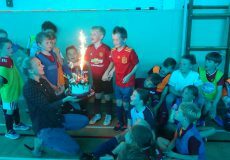 With the supervision of our coaches and the safe and friendly environment they create, WFA’s football holiday camps are fantastic. Most of the children that attend return time and time again. They love the warm and friendly welcome and the relaxed and fun coaching we provide. On Friday’s we have a treat of free pizza for lunch from Wood Fire Smoke for players booked in with us all day which is always very popular! Non-fizzy drink, snack, footwear and clothing suitable for outdoor football. Shin pads are mandatory. If you are staying for the day please bring your lunch. All Children attending for the full day on Friday will have a free pizza courtesy of Wood Fire Smoke for lunch! No booking required. If you want to join in, turn up, pay and play. You can either come for a single session or stay all day, and you can do as few or as many days as you would like. If you are not already registered with WFA, please register either online or complete and print the forms and bring them on the day. Registration is free. Also, book and pay for 5 full days and pay for only 4! 1 day free! Siblings receive a half price discount! Also, book for 5 full days and pay for only 4! 1 day free! Boys and girls aged 5-12 years.